Since January, the Lego Mindstorms EV3 robots have made 2 appearances in STEAM class. 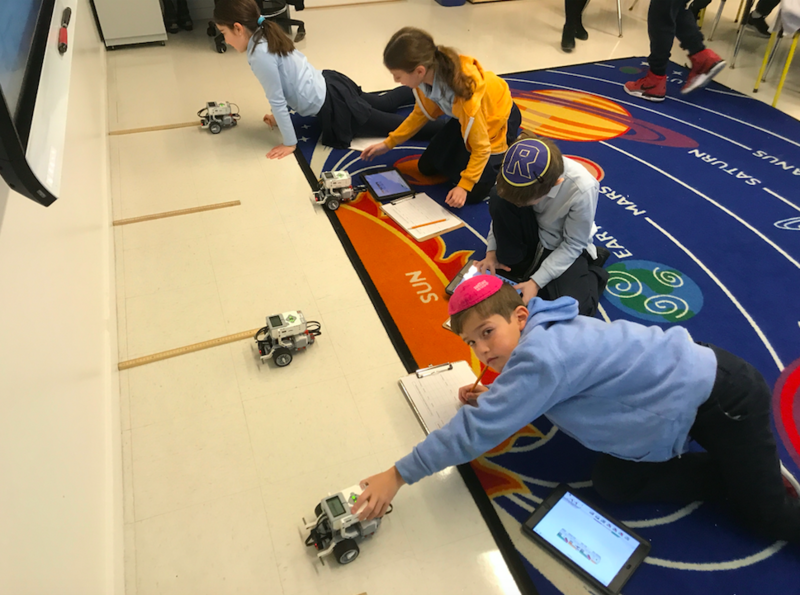 The connection between science and technology continues to develop for our curious 4th graders. As an extension to Sound and Light units, the student-scientists programmed special sensors attached to the robots. Testing the accuracy of the ultrasonic sensor, students programmed the robot to stop at a certain distance. Then they tested how far from the wall the robot actually stopped. In a different lesson, our young scientists measured the reflective light from a black line on the floor. They then programmed a math equation into the software so the robot would stop on the line. In an upcoming lesson, 3rd graders will see how both of these sensors are used to solve a real-life problem the fishing industry is having with an invading species.